PISCATAWAY, N.J.--(BUSINESS WIRE)--The U.S. Patent and Trademark Office issued three patents to Solidia Technologies® for concrete production systems that offer the global construction and materials industries versatile, higher-performing and sustainable applications for infrastructure. U.S. Patent No. 9,221,027, "Curing Systems for Materials that Consume Carbon Dioxide and Method of Use Thereof," covers Solidia’s unique system that is used for curing materials that consume CO2. U.S. Patent No. 9,393,715, "Composite Railroad Ties and Methods of Production and Uses Thereof," covers railroad ties (RRTs) manufactured from novel composite materials. Possessing physical and performance characteristics matching or exceeding traditional concrete, Solidia Concrete™ RRTs can be readily produced from widely available, low-cost raw materials by a process suitable for large-scale production with improved energy consumption, a more desirable carbon footprint and minimal environmental impact. U.S. Patent No. 9,266,147, "Precursors and Transport Methods for Hydrothermal Liquid Phase Sintering (HLPS)," provides a method for the CO2-curing of concrete at ambient pressure, without the need for an autoclave. 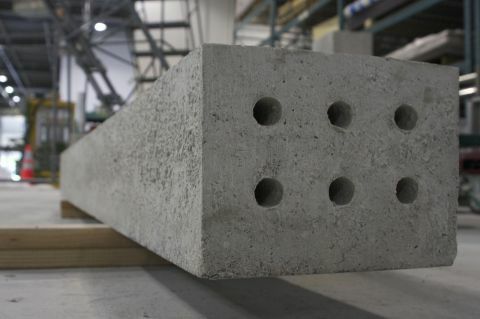 This technology opens the door for the widespread production of Solidia Concrete. Solidia Technologies shares this patent with Rutgers University, where the original generation of the technology was co-invented by Vahit Atakan, Ph.D., Solidia’s Chief Scientist and former Rutgers graduate student and research associate, and Professor Richard Riman, Ph.D., in his Material Sciences lab. Solidia has an exclusive licensing agreement with Rutgers for this technology. Infrastructure materials just got greener and stronger the world over with three patents awarded for sustainable cement & CO2-cured concrete production systems from Solidia Technologies.